Today, if you want a crossover utility vehicle that gets good fuel economy, you can have a hybrid or a diesel--but only in a mid-size vehicle. There are no hybrid compact crossovers sold today, but Toyota may be about to change that. 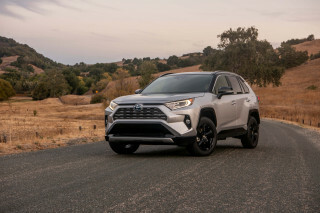 A hybrid version of the new 2013 Toyota RAV4 crossover "would not be difficult to do," in the words of the vehicle's deputy chief engineer Yoshikazu Saeki. 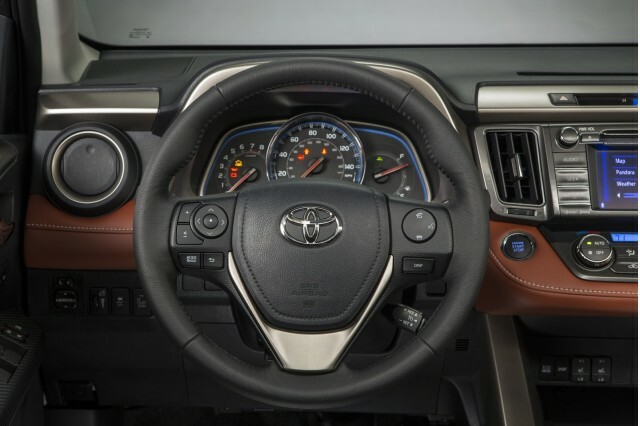 He referred to "a possbility of introducing a hybrid RAV4" and said Toyota "will see" what the market wants after launching the conventional RAV4. That's all corporate-speak that translates to, "Yes, we're going to do one, and fairly soon too." Toyota has long said it will offer a hybrid model in essentially every vehicle line it sells within a few years, and the RAV4--one of the leading compact crossovers in the U.S.--is an obvious candidate. Saeki spoke to the British magazine AutoExpress at last week's Los Angeles Auto Show, where the all-new 2013 Toyota RAV4 model was unveiled. Along with evolutionary new styling, the redesigned crossover utlity drops its third-row seat and the optional V-6 engine. The only engine offered is a 176-horsepower, 2.5-liter four-cylinder engine, paired to a six-speed automatic transmission driving the front wheels. All-wheel drive is optional. 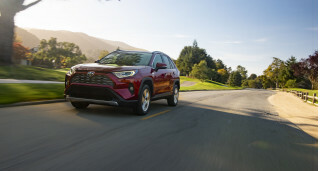 The new front-wheel drive model of the 2013 RAV4 is expected to deliver an EPA ratings of 24 mpg city, 31 mpg highway--which would produce a combined rating around 26 mpg. Adding all-wheel drive will cut the projected ratings to 22 mpg city, 29 mpg highway, for a combined rating of roughly 24 mpg. The likely powertrain for the RAV4 Hybrid is the same 2.5-liter engine, mated to Toyota's Hybrid Synergy Drive system, as used already in the Camry Hybrid sedan and other models. 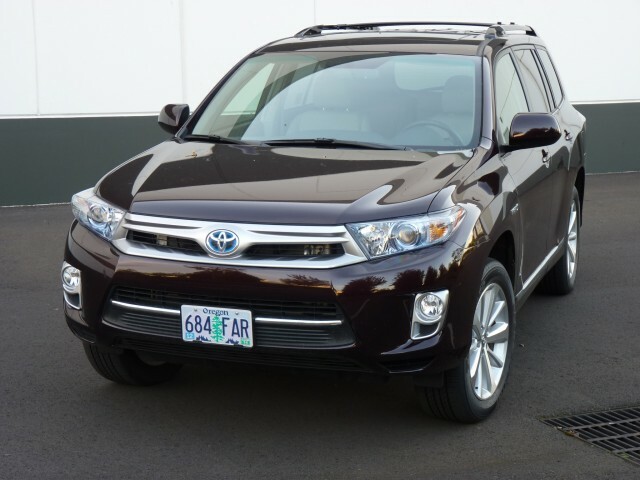 The mid-size Highlander Hybrid crossover is rated at 28 mpg, a 47 -percent improvement on the 19 mpg combined rating of the comparable non-hybrid Highlander. So if a hybrid RAV4 were to improve by the same percentage, that might boost its combined rating as high as 35 mpg. A combined rating in the low 30s seems a safe possibility. What Saeki didn't discuss is whether and how a future RAV4 Hybrid would offer all-wheel drive, or whether it would be standard as it is on the larger Highlander Hybrid. Would it use mechanical AWD, as the late lamented Ford Escape Hybrid did? Or would a hybrid RAV4 add a separate electric motor to power the rear wheels, as the Highlander Hybrid does? We'd expect a Toyota RAV4 Hybrid to arrive within a year or two, making it a 2014 or possibly a 2015 model. 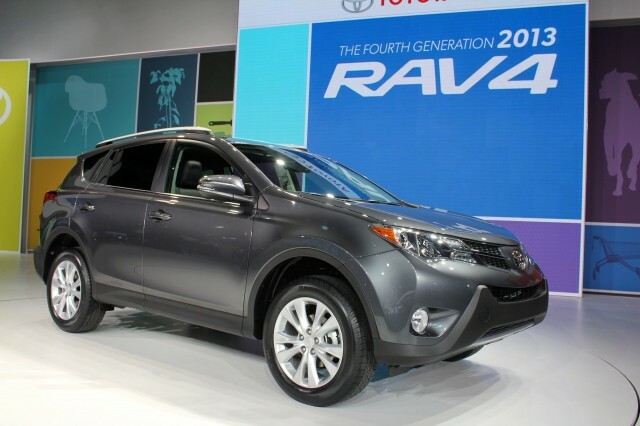 Meanwhile, to learn more about the new compact crossover, see this video preview of the new 2013 Toyota RAV4.